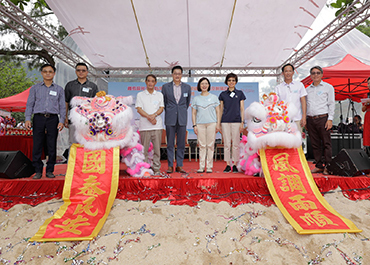 The opening ceremony of "Improvement Works at Silvermine Bay Beach, Mui Wo, Lantau Island" under the Signature Project Scheme of Islands District was held. 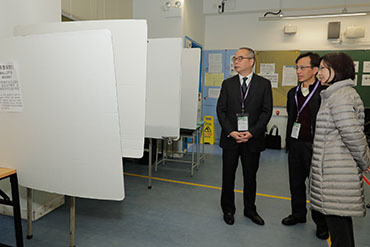 The Acting Secretary for Home Affairs, Mr Jack Chan (fourth left); the Chairman of the Islands District Council (IDC), Mr Chow Yuk-tong (third left); the Director of Home Affairs, Miss Janice Tse (fourth right); Deputy Director of Home Affairs, Miss Charmaine Wong (third right); the Convenor of the Islands District Working Group on Signature Project (Silvermine Bay Project), Mr Wong Man-hon (second right); the Vice Chairman of the IDC, Mr Randy Yu (second left); the District Officer (Islands), Mr Anthony Li (first left); and Assistant Director of Leisure and Cultural Services (Leisure Services), Mr Simon Liu (first right) in a group photo after a lion dance performance. 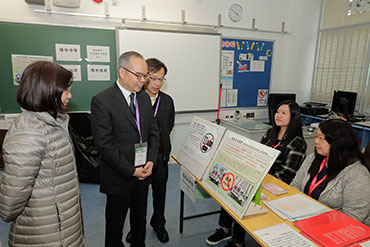 The Chief Secretary for Administration, Mr Matthew Cheung Kin-chung, attended the Hong Kong Outstanding Teens Election 2018 award presentation ceremony organised by the Hong Kong Playground Association (HKPA). 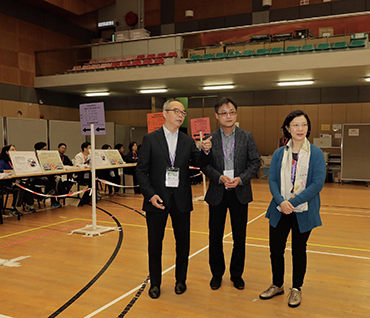 Photo shows Mr Cheung (front row, centre); the Director of Home Affairs, Miss Janice Tse (front row, fourth left); the President of the HKPA, Mr Victor Hui (front row, fourth right); the Chairman of the HKPA, Mr Pang Sung-yuen (front row, third right); other guests and awardees at the ceremony.